Working at a university, I’m bound to think libraries are pretty useful. In my year on maternity leave, I’ve been reminded of their value not only to gather books and information, but also as spaces for children among many other people at different times of life, doing different things. I’ve taken my baby to the singing group at my local library, and on rainy, tired days, the library is there to dive into, where my oldest child loves digging out books for us to read on the carpet. More than just getting through the day, we encounter a whole lot of books we wouldn’t otherwise have come across, opening our minds to new stories, to new ways of thinking and imagining and new kinds of knowledge. And that’s all before we’ve even borrowed any to take home. These trips to the library have been reminders of our project, and when I’ve had a moment I’ve sometimes listened to the interviews and book group discussions carried out over the last two years. Many of the readers point out that it’s through their library-based reading groups that they encounter books they’d not otherwise have known about or got around to reading, and that these have been enlightening, surprising, enjoyable, providing experiences beyond one’s own very limited world. We’re keen to begin to make use of the insightful and fascinating things people have said, and with the closure of many public libraries, and the threatened closure of many more, it seems important to prioritise this issue. We’re keen to support the campaign for libraries, to help make a case for why libraries matter. As the interviews illustrate, libraries are not just places where you borrow books. Nowadays, with so much to read on the internet, with cheap books on Amazon, it’s easy to imagine they’re becoming redundant, but while the availability of books continues to be important, libraries also serve many other purposes and needs. One point that comes across again and again in the interviews, is how libraries provide a space for people to spend time in, browsing, sitting, thinking, reading, away from everyday concerns. When Jane moved to London as a child, for example, she says she was ‘saved by Roehampton library’, where she spent much time reading. Reading has provided an escape, helped to fill empty time and to evade loneliness. As for many others, books have become ‘old friends’. Ferelith would spend hours in an Edinburgh library discovering a great range of books, which surely led to her career as a childrens’ librarian. For Julie and others, school libraries were ‘fantastic’, providing access to a wealth of reading material and helping to educate. Libraries provide spaces for discovery, for relaxation, a time for quiet, for opening your mind. 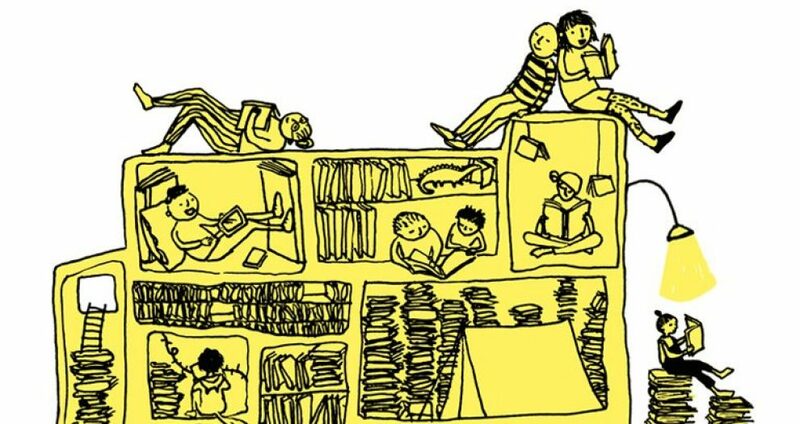 Beyond individual lives, libraries are home to numerous reading groups, providing a social space where people can talk about books and forge new communities. Jane has felt welcomed to her reading group, which she finds ‘very very caring’ and a great community to be part of. For Audrey, her local reading group introduced her to the local library and has made a great difference to her life. She never used to go out on her own and is now more confident, also making new friends. The interviews provide a wealth of material that illustrates the importance of libraries. This blog post does not do justice to the words of Jane and the others. We look forward to the next stages of the project, which include plans to make the interviews themselves more fully available. For now, for a sample of extracts from an interview containing a passionate account of libraries and library groups, please click here. We will also be organising a series of public talks in libraries in 2017. Watch this space!